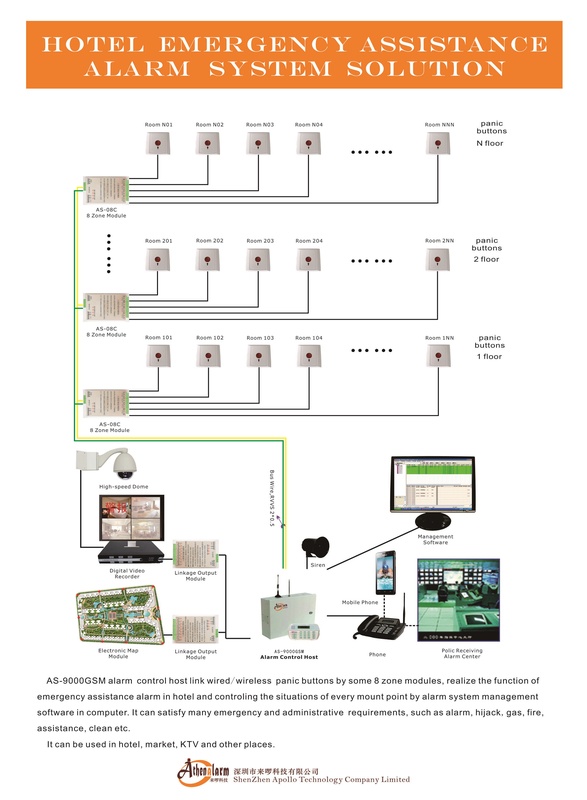 AS-9000GSM alarm control host link wired / wireless emergency buttons by some 8 zone modules, realize the function of emergency assistance alarm in hotel and controling the situations of every mount point by alarm system management software in computer. It can satisfy many emergency and administrative requirements, such as alarm, hijack, gas, fire, assistance, clean etc. It can be used in hotel, market, KTV and other places.